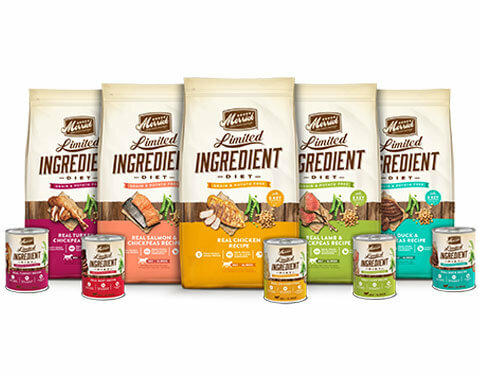 ORLANDO, Fla. (March 16) Building on a heritage of innovation in grain-free, high-protein nutrition for pets, Amarillo, Texas-based Merrick Pet Care Inc. is expanding its offerings to meet the needs of more pets at this week’s Global Pet Expo, the pet industry’s largest annual trade show. 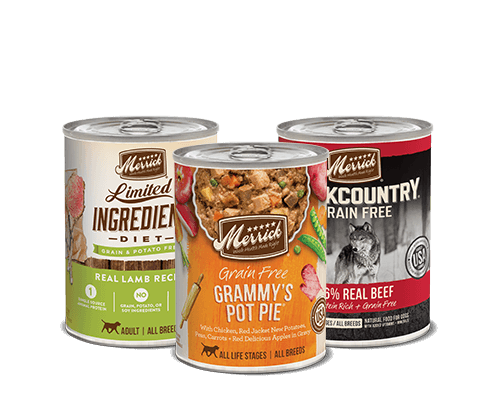 The company’s new diets are Merrick Lil’ Plates for small breed dogs and for cats, Merrick Backcountry, an all-natural ancestral feline diet. 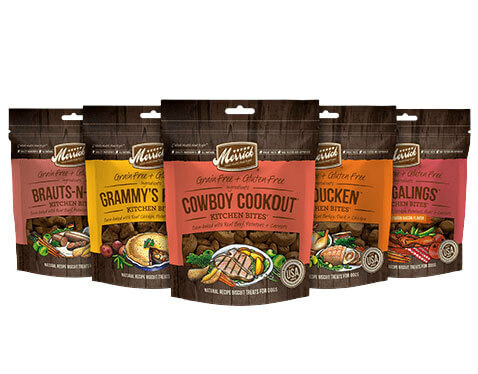 Adding to the innovative lineup, the company is also debuting new Merrick Backcountry dog food recipes, as well as refreshed Merrick Classic. 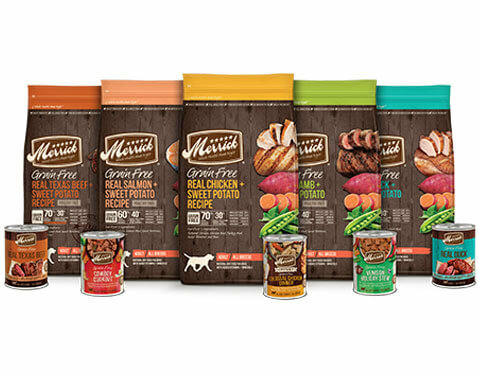 “We know pet parents want the very best for their pets, which is why we continue to focus on making the best pet food ever that delivers on quality, nutrition and taste,” said Pete Brace, vice president of communications and pet parent relations for Merrick Pet Care. 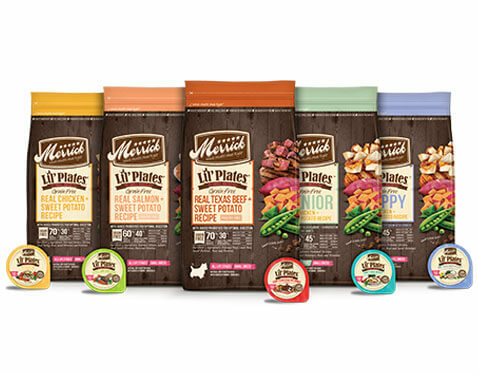 New Merrick Lil’ Plates is a full line of grain-free dry and wet recipes that offers big nutrition to small dogs. Playing off of Merrick’s classic “humanized” canned recipes, complementary wet recipes – offered in convenient single-serve trays – also have playful bite-sized names including Tiny Thanksgiving Day Dinner, Petite Pot Pie, Little Lamb Chop Stew, Dainty Duck Medley, Itsy Bitsy Beef Stew and Teensy Turducken. 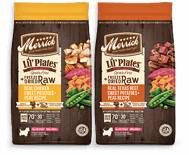 “Like all Merrick recipes, Lil’ Plates start with real deboned meat, fish or poultry as the first ingredient, include fresh fruits and vegetables,” Brace added. 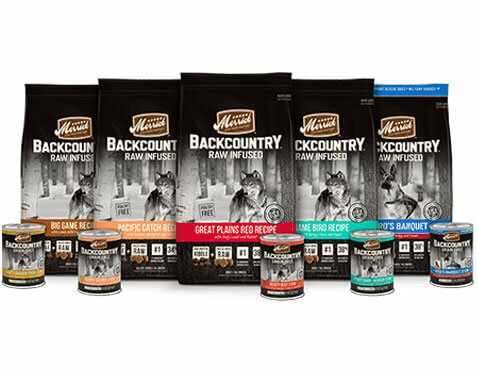 Complementing the Merrick Backcountry dry recipes are six recipes served in pouches to offer cats complete and balanced nutrition plus necessary moisture, which is essential to the feline diet. The recipes feature protein-rich morsels in gravy in a variety of flavors and novel proteins including duck, rabbit and whitefish. 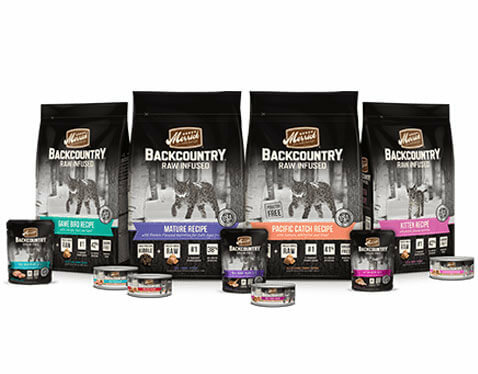 Rounding out the Merrick Backcountry lineup for cats, Merrick is introducing Merrick Backcountry Freeze-Dried Raw treats – the company’s first cat treat. 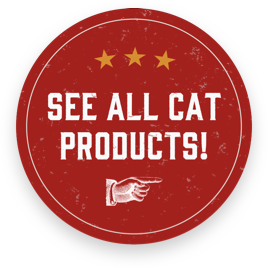 The treats are grain-free and offer cats the fresh, wild taste of raw chicken or salmon in a convenient freeze-dried raw format. 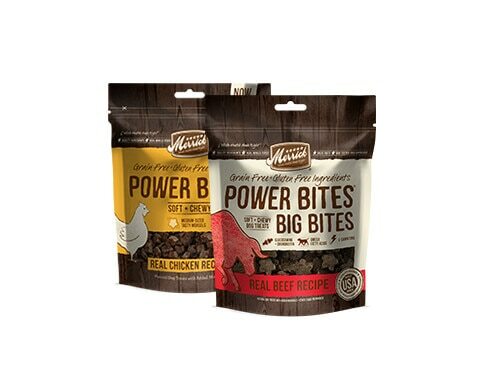 New recipes in the Merrick Backcountry dog food line include Merrick Backcountry Raw Infused Big Game Recipe, featuring kibble + raw and novel proteins from buffalo and venison; new Merrick Backcountry Freeze-Dried Raw Meals or Mixers that offer complete and balanced nutrition in the form of freeze-dried raw; and four Merrick Backcountry chunky stews featuring large chunks of meat in hearty gravy. 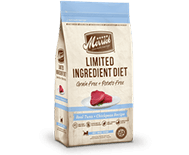 Merrick Classic is known for its wholesome balanced nutrition and this year, the recipes have been improved for an even more palatable and easily digestible mealtime experience for dogs. Five recipes will continue to feature a wholesome balance of protein, fruits and vegetables, and a healthy blend of grains, including new ancient grains like quinoa for a rich protein source. Chia Seeds have been added for increased fiber, protein and omega 3 levels and recipes are potato free. 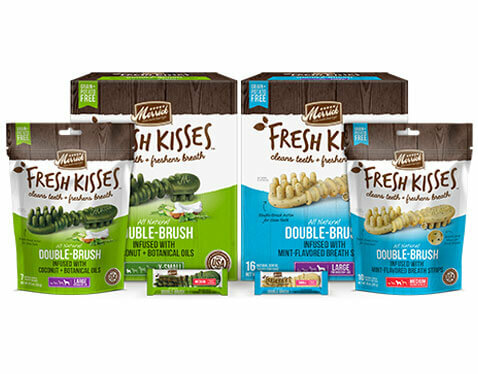 Packaging has also been refreshed for a more attractive on-shelf design, while pricing has been adjusted to be more comparable to other natural “with grain” dog food options. Merrick’s new recipes will be available starting in spring 2016. 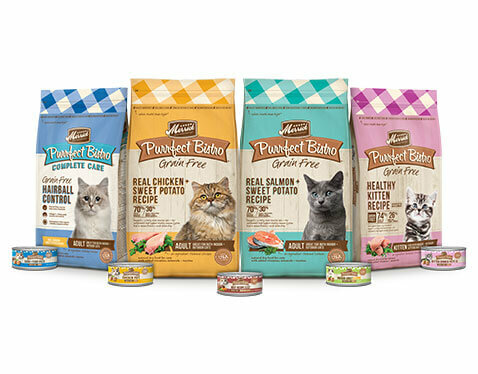 Recipes are available at Petco, independent pet supply stores and online. 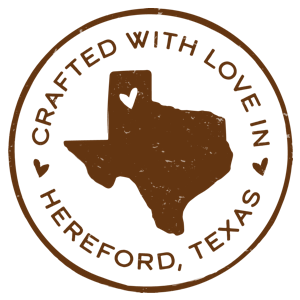 About Merrick Pet Care Founded in 1988, Amarillo-based Merrick Pet Care, Inc. is a leader in natural and organic pet food. 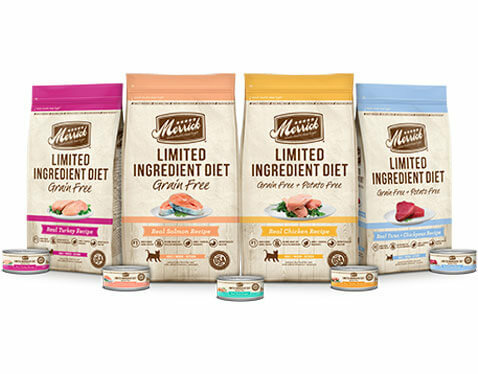 With a mission to create the most nutritious and wholesome food, Merrick families take better care of their pets by cooking up nutritious real whole foods for pets. 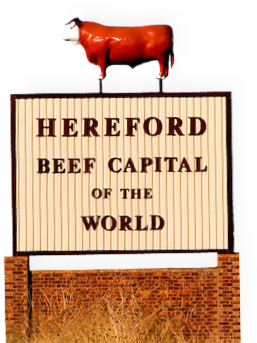 All foods are made in the USA using only the freshest ingredients grown by local farmers. 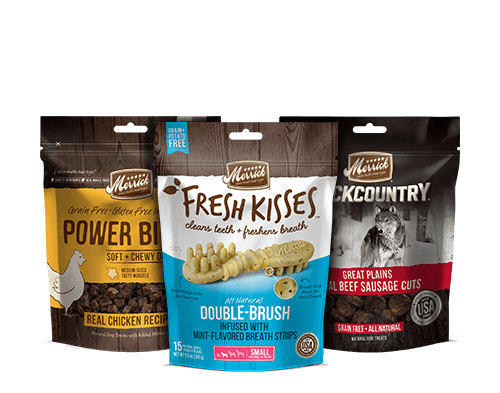 The company offers a wide variety of dry and wet foods, as well as treats, that are available nationally at independent pet specialty stores, Petco, and online via select retailers. 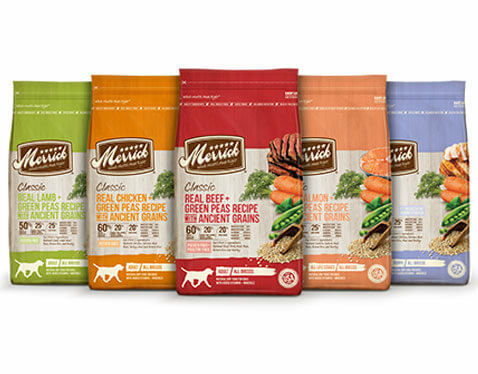 In April 2012, Merrick Pet Care Inc. acquired Castor & Pollux and its ORGANIX, Natural Ultramix and Good Buddy food and treats for pets. 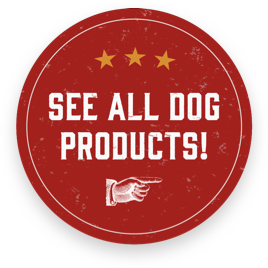 These brands are available at PetSmart, natural grocery, and online via select retailers. For more information, visit www.merrrickpetcare.com or www.castorpolluxpet.com. EDITOR’S NOTE: A full list of 2016 new product information, fact sheets, and photos are available by request. To schedule an interview or for more information, contact Betsy Berger at bberger@merrickpetcare.com or by phone at 847-865-9723.